Top VAR Partners earn up to 25% in rebates, enroll now! Register for the Top VAR Program Today and Start Earning Benefits including up to 25% in VAR Rebates! The Top VAR Program offers incentives, subsidies and support which can help you increase your profitability and revenue-and you’re already eligible! Below you’ll find more information about the program benefits. Start taking advantage of these benefits, like increased Microsoft Top VAR Rebates, by enrolling today! Register before March 31st to take advantage of your higher payouts retroactive to January 1, 2012! · Visit the OneView portal to enroll in the Top VAR Program and the Top VAR Rebate. · Sign in using your Live ID, follow the registration instructions and accept the terms and conditions. · Receive your enrollment confirmation. Please register today to take advantage of the Top VAR Program benefits you already qualify for. If you prefer I not forward you these types of communications, just let me know. To learn how to manage your contact preferences for other parts of Microsoft, please read our Privacy Statement. 1. Enroll in the Top VAR Program & the New Top VAR Rebate! 2. Take advantage of additional benefits! How can Insider Edge help you? You and your customers will benefit from these episodes. The Insider Edge episodes will provide partners and customers alike with the latest info on technology and products. As a side note, these episodes will continue to be available “on demand” on the Business Hub if you aren’t able to watch live tomorrow. Pac IT Pros is sponsoring TechDays for IT Pros. www.techdays.org On March 22, and 23 over 30 TechEd 2012 presenters will give their TechEd presentations in San Francisco. That’s over 40 IT Pro sessions on Windows 8, Server 8, GPOs, SharePoint, Exchange, Lync, PowerShell for beginners, PowerShell Advanced and many more. Presenters include Microsoft MVP’s Mark Minasi, Richard Hicks, Jessica DeVita, Jennelle Crothers, Steve Evans, Darren Mar-Elia and many more distinguished presenters. In addition, from Microsoft we will have Stephen Rose, Joey Snow, Chris Avis and Harold Wong. To register for this incredible conference visit www.pacitpros.org . The 2 day multi track conference is just $300 US dollars. With this new pricing how can you resist selling O365??? · www.quickstartonlineservices.com this is our primary partner facing resource that contains most of what you’ll need to get Cloud business up & running. · MPN Office 365 site – another great resource sponsored by the MPN team which you’ll find helpful. Microsoft Northern California SMB Licensing Boot Camp – Register Today! Are you stumped by the complexity of Microsoft licensing? Do you want to refresh your Solution Sales Skills? Join Microsoft for a focused discussion on Solution Selling & Licensing Microsoft Solutions for partners selling into Small & Medium Businesses. This power-packed three-hour boot camp is great for client-facing sales managers, account executives, and technical resources who are new in their role or who need a refresher on Microsoft’s licensing programs. And, if you’re already a Microsoft licensing expert, attend this boot camp and test your knowledge! We will review trends, tools, scenarios and tips to help you and your customers. This event is designed to give you the knowledge you need to advise your customers, save money and build a Microsoft roadmap. Register today! Register Today in a City Near You! If you would prefer not to receive future promotional e-mails from Microsoft Corporation, please click here to unsubscribe. These settings will not affect any newsletters you’ve requested or any mandatory service communications that are considered part of certain Microsoft services. To set your contact preferences for Microsoft newsletters, see the communications preferences section of the Microsoft Privacy Statement. How does The Big Easy Offer 8 fit into my sales planning? The Big Easy Offer 8 provides an added incentive for your small and mid-sized US customers to switch to annuity agreements, as the subsidy payouts on annuity licenses are three times that of non-annuity licenses. In addition, the Big Easy Offer 8 includes online services, so it provides you with a great lever to transition your customers to the cloud. 2) What products are included in The Big Easy Offer 8? includes popular Microsoft products such as Windows 7, Office, SharePoint, Dynamics CRM, SQL Server, Windows Server and Exchange Server. The Big Easy Offer 8 also includes Office 365, Dynamics CRM Online and Windows Intune. The complete list of qualifying products and services will be made available in the Offer Terms and Conditions on www.microsoftincentives.com/bigeasy (from March 5, 2012). 3) How should I position The Big Easy Offer 8 to my customers? The Big Easy Offer 8 lets customers earn partner subsidies, which they can use to purchase additional software licenses and associated services. For instance, your customer can use the partner subsidies for deployment services for new solutions, like Windows Server® 2008 R2 and Windows Small Business Server 2011 Premium Add-on. Customers have a limited time (March 5 to June 30, , 2012 inclusive) to take advantage of this Offer. How can I use The Big Easy Offer 8 in conjunction with other in-market customer offers? The Big Easy Offer 8 can be combined with the following concurrent pricelist discount promotions. For more information on these promotions, visit https://partner.microsoft.com/us/licensing/resellerpromotions. Visual Studio MSDN Attach promotion: ​Qualified customers receive a 35% discount on L&SA when they purchase Visual Studio Professional with an MSDN subscription; a 15% discount when they purchase Visual Studio Premium with an MSDN subscription (this promo ends on March 31, 2012). Will there be a calculator as in the past and will it include Online Services? 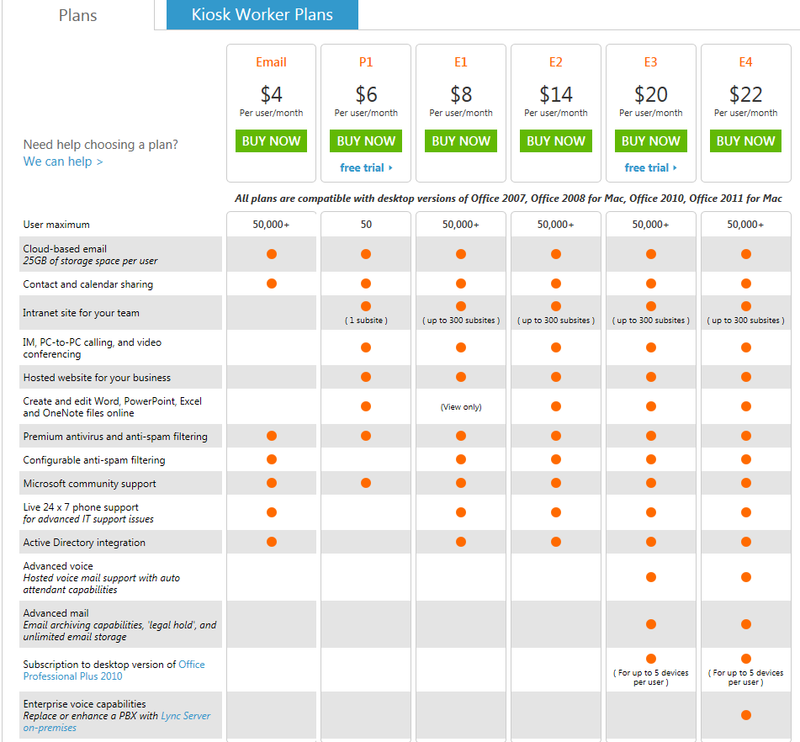 Yes, the Big Easy Offer 8 calculator will be made available on www.microsoftincentives.com/bigeasy at offer launch (on March 5, 2012). Please note that Microsoft provides the online calculator solely for informational purposes. The actual partner subsidy dollars earned through the purchase of Microsoft software under The Big Easy Offer 8 may vary from the estimate produced by the calculator. Customers and partners should refer to the terms and conditions of the Big Easy Offer 8 at http://www.microsoftincentives.com/BigEasy/terms.aspx for a full understanding of the partner subsidy dollar amount. It is possible for a user to generate incorrect partner subsidy dollar estimates through this tool depending on the accuracy of the data entered. Can VARs who have registered in the FY12 H2 VAR Rebate Program combine the Big Easy Offer 8 with their corresponding VAR Rebate? Yes, the VAR rebate payout is based on the revenue of US first year billings (non-recurring), so Big Easy Offer 8 purchases contribute. Tier 3 Cloud Champion Club members receive additional Partner of Record advisor fees for online services. Can they leverage The Big Easy Offer 8 to earn additional fees? Yes, Tier 3 Cloud Champion Club members can use The Big Easy Offer 8 to earn additional promotional incentives. They need to ensure that their Big Easy Offer 8 customers assign them as the Partner of Record when purchasing a new online services subscription. What happens if a MOSA customer unsubscribes from the service? What is the SLA for check fullillment for on-premise product purchases? 6-8 weeks from date of subsidy redemption. If the customer redeems for both on-premise products and online services, the customer may receive two separate checks – one for on-premise products, and another one for online services.